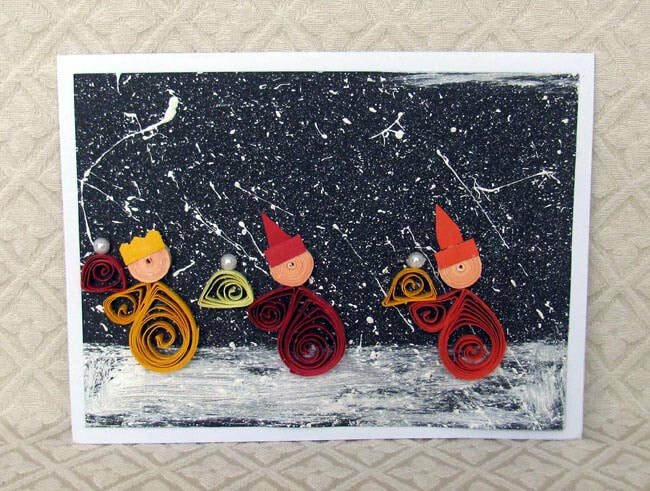 The paper figures adorning these three cards are made using an art form called quilling, which uses tiny strips of paper that are either twirled, rolled, or shaped before being glued together. Even though the figures are small, the attention to detail is impressive. 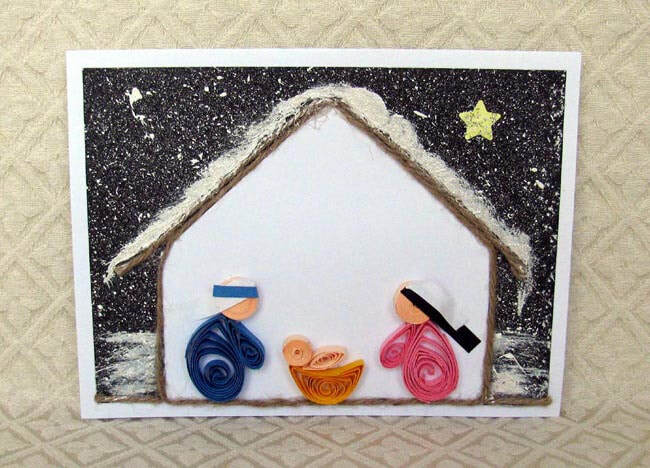 The three cards depict the Holy Family in a stable in the center scene, two shepherds with two sheep in the scene on the left, and three wise men with gifts in the scene on the right. Each card measures 6.25 by 4.75 inches. 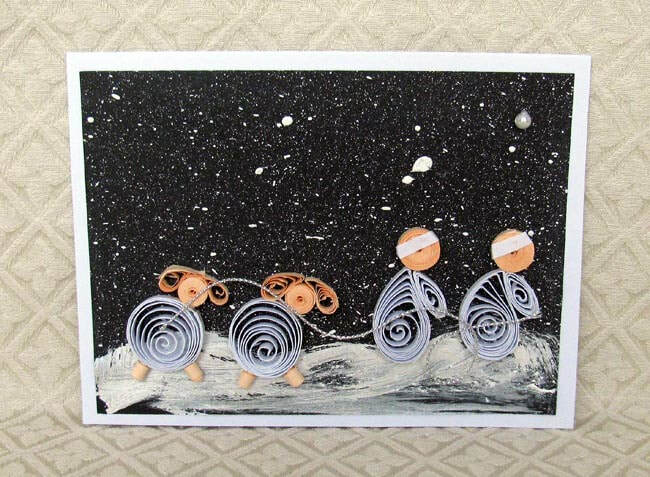 The Nativity cards were made by a young woman named Im Somana. A few years ago she became a Christian and served a church mission. Recently Somana married a wonderful young man. Somana, like many young Cambodians, didn't always have the educational opportunities that most people in developed countries take for granted. So, despite being 24 years old, married, and working part-time doing her quilling artwork, she is attending high school now. She will finish later in 2017 and intends to pursue an interior design degree at a local university.